The ailing $400 mln Indian carrier has stopped flights to Abu Dhabi, the hub of its 24 pct shareholder. Even with some planes grounded, Jet may be trying to strong-arm support for a restructuring. It’s a harsh reminder that Etihad has more to lose than just its equity investment. 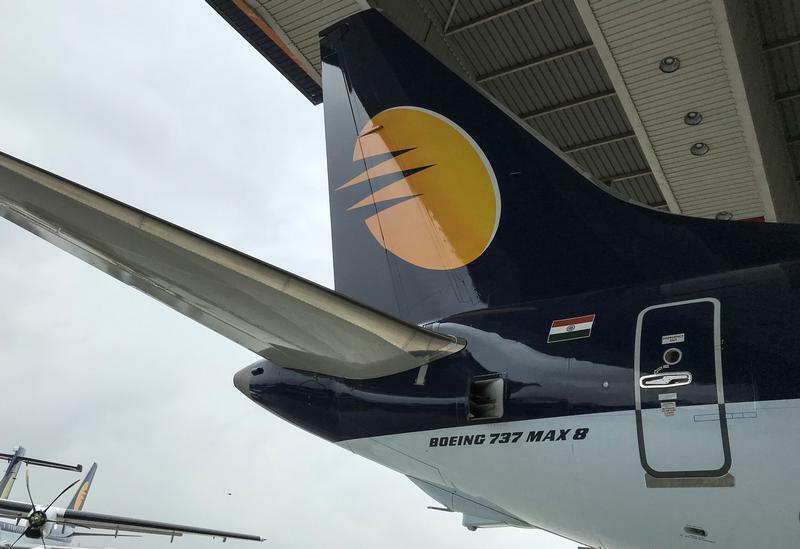 A Jet Airways Boeing 737 MAX 8 aircraft is seen parked inside a hanger during its induction ceremony at the Chhatrapati Shivaji International airport in Mumbai, India, June 28, 2018. Picture taken June 28, 2018. India's Jet Airways has grounded its operations at Abu Dhabi Airport for an indefinite period, citing operational reasons, Press Trust of India reported on March 18 citing a message to customers from the airport services of Gulf carrier Etihad Airways, which is also Jet's 24 percent shareholder. Jet Chairman Naresh Goyal told the airline's pilots on the same day that he needed "a further short time" to finalise a rescue deal for the cash-strapped Indian carrier as the process is complex. In a letter reviewed by Reuters, Goyal said he was "committed to have the process completed as soon as possible and restore much needed stability" to the airline's operations, and that he would make it a top priority to settle delayed salary payments for pilots and some other staff once a deal is finalised. He also said talks for the rescue deal with Etihad, and lenders, led by State Bank of India, were ongoing. Etihad, in a separate statement, said on March 18 it was working with Indian lenders and Jet on a solution for the airline. Jet said on Feb. 14 that it had approved a “bank led provisional resolution plan” in which lenders will convert their debt to become the largest shareholder. The company said at the time that the plan seeks to address a funding gap of about 85 billion rupees ($1.2 billion) and includes an equity infusion, debt restructuring, and the sale and lease back of aircraft.